After hosting a few of the Stitch Painting classes with JP, it was apparent that students wanted more. Voila, JP collaborated with us at the shop to develop this class even more enlightening class. It will span over 2 full days and you will definitely learn even more advanced techniques of the wonderful world of stitch painting your own canvases. 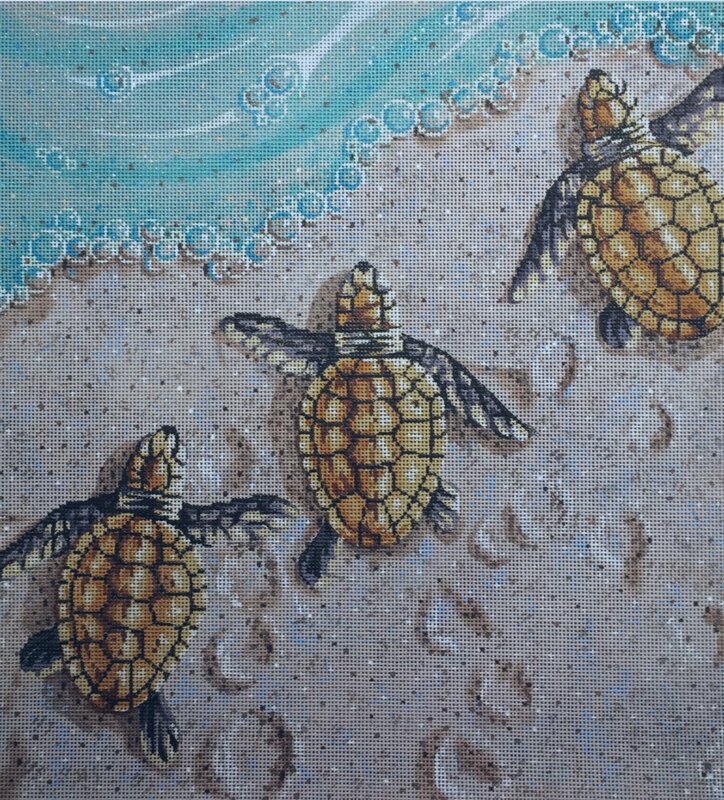 This great Sea Turtle canvas is a true beauty. Design size is 12x12 on 13 mesh. Just like the Beginning class, all the materials are provided. Lunch will be served as well on both days. Class Price is $300. If both the beginning and advanced classes are taken, a $50 discount is given on this class. $150 non-refundable deposit is required to reserve your space. Call the shop, 407-894-0444, to reserve your space! Must have taken a beginning canvas painting class. JP, the creative mastermind behind the design team of "Labors of Love," is coming to share his tips and techniques for painting your own needlepoint canvas. You will paint this Orange/Orange Blossom on 13 count canvas while learning how to make stencils, use templates, work with paints, metallics and glazes.